There is nothing wrong with building sand castles in the sand, that is if it is the pristine quartz white sand of the Pensacola Beach. Each summer the Beach Community Bank of Pensacola, Florida sponsors a sand sculpture contest in conjunction with the Fiesta of Five Flags. Fiesta of Five Flags is the annual celebration of the founding of Pensacola. The castle building takes place oceanside behind the Pensacola Beach Pavilion. 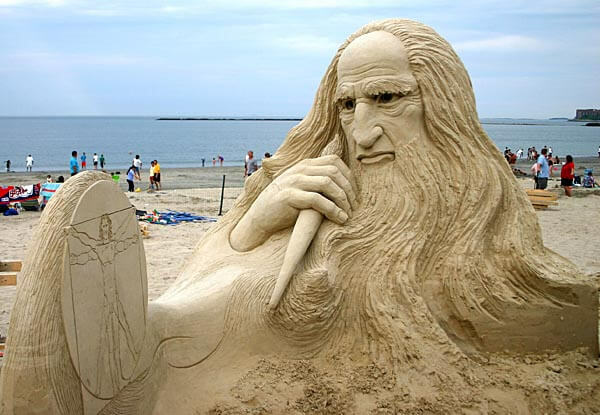 Whether you are a pro at sand castle construction, an amateur or just a spectator it is a fun activity. Everyone enjoys the opportunity to see the sensational sculptures that are being built. It is a great time to bring the family, a picnic basket along with a beach umbrella and blanket and find a spot to watch the construction. This annual fun in the sun event is FREE. Yes FREE. The participant are of different skill levels”¦guppy, youth, teen, adult, or open which is the semi pro and pro division. There is more than $2,000 in cash prizes up for grabs. This contest takes place at the beginning of June each year. Find it at Pensacola Beach Pavilion near the Pensacola Beach Fishing Pier. The judging of the sculptures takes place at 2 P.M.
Last updated by Barb Jungbluth on 14 December, 2014 in Destinations.